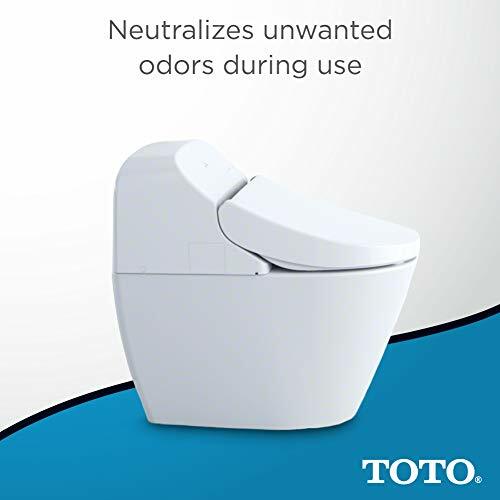 Recently, there has been a lot of talk about the Toto washlet toilets. Many homeowners are upgrading their homes with these fantastic and futuristic toilets. The Toto washlet toilet series has a lot of benefits to the users, and that’s why many people are starting to embrace them. Today, we’re going to discuss Toto washlet G400 with integrated toilet. It is the upgraded toilet of Toto G500. 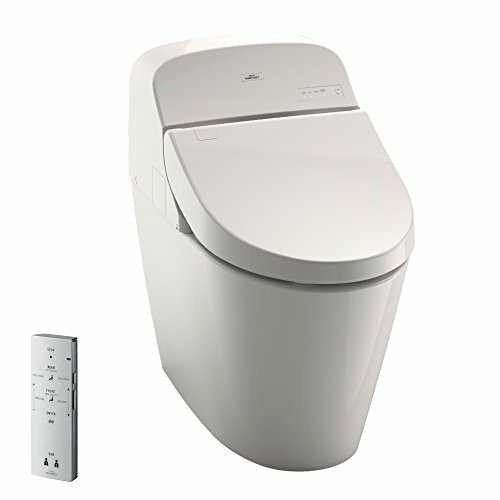 After changing my Toto Drake II with the Toto washlet G400 toilet, I decided to share my honest opinion about this toilet. So, brace yourself as I take you through the features, functions, pros, and cons of the Toto washlet G400 toilet. Detail of the Toto G400 review…. The Toto Washlet G400 integrated toilet is compact and great for small spaces. Installing a toilet is quite challenging, but Toto G400 installing is very easy, and you don’t need to call a professional plumber to fix it for you. The toilet utilizes less than 1.28 gallons of water per flush, so it is a high-efficiency toilet. As sleek and beautiful as the toilet looks, it is comfortable to use, and most of the functions are performed automatically by just pressing the remote control. Here is a full review of the Toto washlet G400 toilet. 3 Summary: Why buy Toto G400 washlet toilet? The Toto washlet G400 integrated toilet is a sleek and stylish toilet that will change the look of your bathroom. The toilet is very convenient to use as even the sick and old people will have an easy time using the remote control. The toilet features dual-max, dual flush with 1.28 GPF for a full flush and 0.9 GPF for a partial flush. This helps to save on water and make the toilet be environmentally friendly. It also has PreMist technology that joins together with the comfort and convenience of Toto’s bidet seats with powerful 3D tornado flush system to offer the user a great experience. Using this toilet is one of the best experiences that you will have. As you approach the washlet, the lid opens automatically to welcome you. Then, the automatic PreMist sprays the toilet bowl surface. The combination of CeFiONtect and PreMist helps to reduce the number of times you have to clean. This in turn also reduces the use of harsh chemicals, amount of water, and time needed to clean the toilet. The CeFiONtect ceramic glaze plays a huge role in keeping the toilet clean by preventing waste from sticking on the bowl surface. After sitting on the toilet, you will feel the warmth of the heated toilet. During the cold months, you’ve got the option of selecting from one of the 5 seat-warming temperature settings. At the same time, the automatic air deodorizer will be activated to hide the odor. When you’re almost done, you will have to grab the remote control and commence the cleansing procedure. It all starts with the self-cleaning wand which will clean your nether-area. Choose a type of cleansing that you want. It can be a rear cleanse, front cleanse, oscillating cleanse, soft rear cleanse or a pulsating cleanse. Next, you should adjust the warmth and intensity of the spray by accessing the variable temperature and pressure settings on the remote. The best part is that the toilet allows only two settings to be saved as it has a memory feature. So, you can just save your preference and press it whenever you access the toilet. When you’re done, you can as well start the air dryer to reduce the moisture on the toilet by choosing from the 5 temperature setting. As soon as you stand from the toilet, the automatic dual-max flush will determine the ideal flush volume for your waste. Then, the powerful flushing of the 3D tornado flush with the help of CeFiONtect glaze ensures that the contents in the toilet are cleared and it remains clean. And finally, the lid will close slowly. With the washlet, you don’t need to use tissue paper and this ends up saving trees, water and reduces the chemicals being released into the environment. Summary: Why buy Toto G400 washlet toilet? The Toto Washlet G400 toilet will change your whole toilet experience and make things easy for you. It won’t matter if it’s the cold winter or hot summer, you will still visit your toilet without being afraid of the cold toilet seat. The G400 washlet offers great comfort and hands-free operation. The self-cleaning wand ensures that you don’t use any tissue as washes your nether-region. Additionally, the deodorizer leaves the toilet smelling fresh after use and the skirted design is easy to clean. With such amazing features and functions, this is a great investment for a home that wants to save on the water bill and bring a new experience into the bathroom. I hope you have gotten all answer after reading this Toto G400 review. Question: Is this toilet eco-friendly? Answer: Yes, it is. The Toto G400 washlet is one of the most environmentally friendly toilets that you will come across. To start with, the toilet is WaterSense certified thus it uses a little water. It has a dual flush mechanism that allows the user to utilize only 1.28 GPF for a full flush and 0.9 GPF for a partial flush. In addition, you don’t have to use tissue paper as the toilet has a self-cleaning wand that appears to wash your nether-regions. This ends up saving water and trees used in the manufacture of toilet paper. Also, no chemicals will be released in water when no toilet paper is manufactured. That’s why every person should embrace this toilet. Question: Do I have to buy other accessories for a complete installation? Answer: When you purchase this toilet, you have to know that some installation hardware is not included such as floor bolts and wax rings. This is normal as many toilets don’t come with this hardware. For more info concerning the installation of the G400 toilet, refer to the user manual. Still, have a question after reading this Toto G400 review? Comment below.